Amazon recently announced that it will soon ban the Apple TV and the Google Chromecast from its online webstore. No new listings for the two video-streaming products will be accepted and the existing listings will be removed on October 29. Amazon says that it has decided to ban Apple TV and Google Chromecast sales due to the fact that these video-streaming devices are not compatible with Prime Video, Amazon's video-streaming service. According to the e-commerce giant, selling streaming devices that are not easily compatible with Prime Video on Amazon can lead to customer confusion. The retailer noted that video-streaming devices that easily work with Amazon Prime Video - such as the Roku players, the Microsoft Xbox consoles, and the Sony Playstation consoles - will continue to be offered through Amazon. Official motives aside, it looks like Amazon is bullying Apple and Google in an attempt to achieve a better position for its own video-streaming device, the Fire TV stick. Furthermore, it should be pointed out that, if Amazon's Prime Video is not compatible with the Apple TV and the Google Chromecast, that's only because Amazon decided not to develop apps for the two streaming devices. The Google Chromecast SDK allows everyone to make compatible apps (or even port existing ones), and all devs can make apps for the Apple TV, although Apple has tighter control over the apps published in its app store. What do you guys think of this sales ban? Is there any chance that Amazon is really looking to avoid customer confusion, or has Amazon become a bully? What big babies. Now I for sure will never buy an Amazon made product. What's next? iOS and Android devices? Apple should ban Amazon's apps from the AppStore. Hey Amazon, it isn't Apple's fault that you didn't make any money with Android. It's Amazon's fault. If they'd put out the hands down best smartphone on the market, like Samsung did, they'd have made billions every quarter since they started, like Samsung did, and sold more smartphones than anyone like Samsung did. Ok, I'll admit, this one was funny. Did you pick up a new iphone? Do you make money with AppleTM ? You're stupid. Youi can stream prime video and music on iPhone's, it seems all Amazon needs to do is make an app that works on Apple TV. They are banning an Apple product too you ignorant troll for the same reason. Chromecast has nothing to do with Android specifically. You insane hate for Android shows just how ignorant you are. They should all just play nice. See how the consumer loses out? That's you and me. Unless you're a paid shill for Apple. Apple allows Amazon apps, so I don't know what drugs you are partaking of tonight. I think he's referring to the Amazon App Store itself. Who needs the Amazon apps store. They have the same apps already available on the Play Store. that's not really the same thing... Apple stores carry only Apple products and maybe a handful of other companies' products that are made specifically for Apple devices. Amazon has established a reputation for selling anything you could ever want. Aaaaaaaand... It's still the same thing. Why should Amazon be hit with Antitrust violations when Apple does it more on their store than anyone on the planet and gets away with it? Apple isn't a dominating presence in e-commerce. Amazon is, by far, the largest online retailer, and as such wields a lot of influence. There is a difference between having a monopoly and monopolizing. Amazon's dominant position in e-commerce is not illegal and has no bearing here, However, monopolizing is different. Committing the actual act of using one's position in a market to exert influence over another. Which, is what they appear to be doing here. The legalities may exonerate them, but it's at least worthy of a look by the FTC. That is the most ignorant thing I have ever heard. A law is a law. You dont get to break a law because you dont have as big as marketshare. Apple influence on certain markets is equal or higher than Amazon even without the marketshare. That is just foolish! 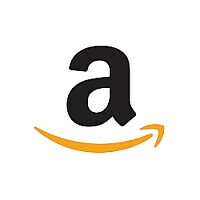 Being a satisfied user of Amazon products and services, I can say that Amazon is totally customer orientated. I personally have never been let down their customer service. It's great! That being said, I never put anything past any corporation. They are all about making money first. If the competition gets knocked down along the way, it's par the course doing business, and I really don't think that anyone can say that Apple or Google wouldn't do the same thing if they were in the same situation. Apple and Google can't do the same thing because of possible lawsuits. Apple did the exact same thing. They used to sell fitness watches from other manufacturers, until they decided to release their own, then banned them from their store. Not illegal. As was already stated several times in this article, Apple has done the same thing, and Google banned the Amazon App Store from the Google Play Store. I think you should reevaluate your statement now. I did a quick check on my Note 3, I can download Amazon Shopping from Google Play Store. I thought they have ban it now, false alarm!